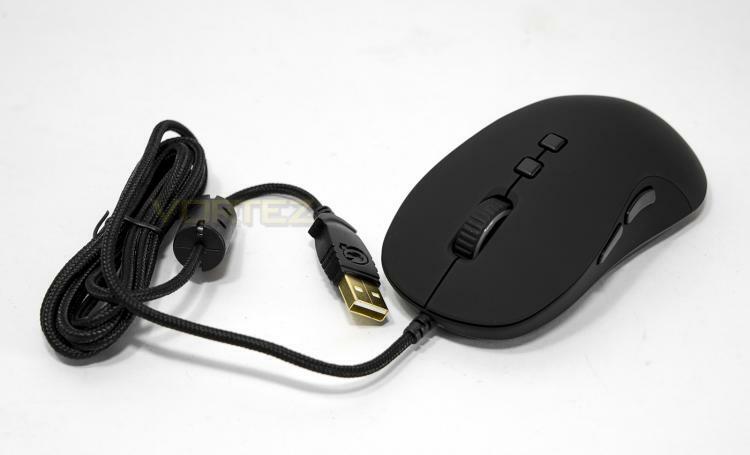 It has been quite a while since QPAD have released a new mouse, and the DX-20 comes with a neat little back story as it is inspired by the 'legendary MS Intellimouse 1.1' to provide an ambidextrous shape suitable for both palm and claw grip types. QPAD have equipped the DX-20 with the Pixart 3320 optical sensor that has a sensitivity of up to 3500 CPI (counts per inch) and provides zero acceleration for true 1:1 tracking. The 128kb on board memory will save your personal preferences for on the go plug&play convenience while OMRON switches for the main mouse buttons will ensure reliability. One of the more visually striking aspects of the DX-20 is the baseplate RGB LED lighting, giving a full surround glow of any colour of your choice which can then be complimented with the additional two lighting zones in the mouse wheel and the rear logo.